Vincenzo Peruggia, the misunderstanding, the Mona Lisa and Pablo Picasso. At seven in the morning on August 21st, 1911, after having spent the night there, a slender figure slipped out of a small side room of one of the large halls in the Louvre. Despite the fact that it was summer, he was wearing a dark, heavy jacket. His clothes, however, did not prevent him from moving quietly and quickly about the museum. It was a Monday, the Louvre’s closing day, and the only visitors to the building’s vast halls were the guardians who were walking along the corridors, given away by the sound of their own steps. 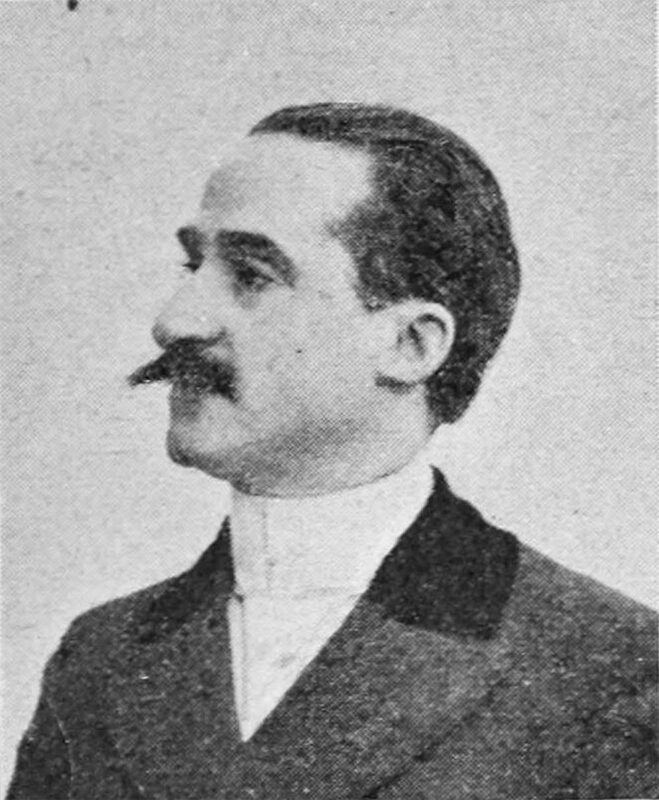 Vincenzo Peruggia, an Italian from small town of Dumenza, near Varese, with only an elementary school education, crouched at the entrance of the Salon Carré. With his nostrils blackened by candle smoke and his shoes stuffed into the pockets of his jacket, he waited for the right time to put his plan into action. When the guards’ steps echoed farther away, he crossed the hall until he reached the Mona Lisa. He grabbed the painting with both hands, carefully lifting it up in order to free it from the hook. The painting was quite small, however the frame and glass were unexpectedly heavy. Peruggia staggered for a few seconds before regaining his bearings, and the headed towards the exit. Taken by the frenzy, he had to slow his pace over and over again in order to avoid slipping. He was walking in his socks. Upon reaching the Sept Mètres, he got rid of the frame and the glass, and then headed out into an inner courtyard of the Louvre – at that moment deserted – and wrapped the painting up in his jacket. He reached the exit undisturbed. Once in the street, he waited for the bus home, however he went in the wrong direction. Getting off the first stop, he hailed a ride from a passing motorist, who finally droped him off in rue de l’Hospital Saint-Louis, the street where he lived. Once home, he hid the precious painting. Since he had to go back to work, and not knowing how to justify being late, Peruggia said that had spent the night drunk on the street. In the evening and once again home, in order to protect the painting from humidity and any possible police searches, he decided to entrust the work to his compatriot, Lancellotti, who lived in a nicer apartment in the same building. The morning of August 22nd, 1911, two artists – Louis Béroud and Frederic Languillerme – entered the Louvre for a study session on art’s great masters, and were the first to arrive in the Salon Carré. They noticed the theft and promptly warned the head of security Monsieur Poupardin, who immediately closed the doors to keep out the few workers and visitors there at the time. The frame and the glass of the Mona Lisa were found at the foot of the Sept Métre steps, near a glass door with a missing knob, having been tampered with. Since this was a service entrance used only by employees, the latter were questioned one by one for the entire day, while at the same time the authorities launched an appeal to all Parisians: anyone who provided useful information to find the painting would be paid a reward of twenty-five thousand francs. An employee of the museum responded, saying that on the morning of August 21st, he had noticed a man walking briskly by, and that he had thrown a small object near the moat adjacent to the road. The missing doorknob was found. The investigations continued until what appeared to be the definitive turning point. 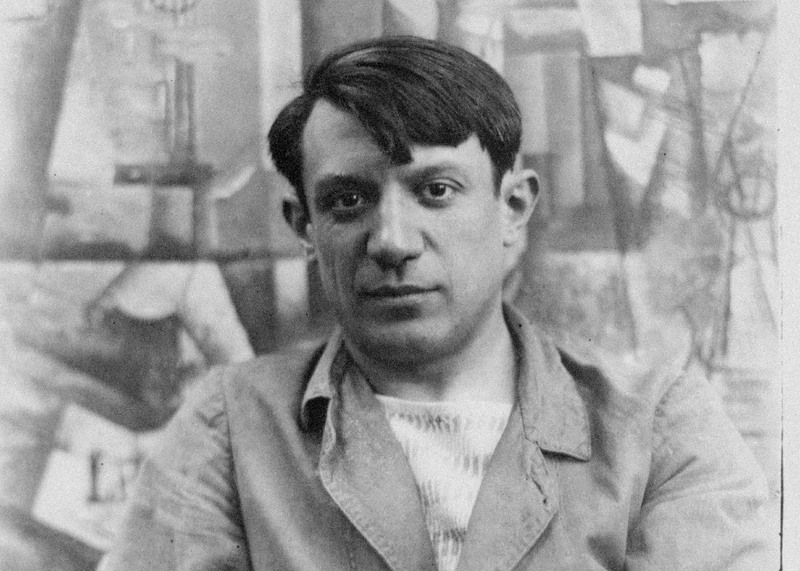 In fact, Guillaume Apollinaire and Pablo Picasso were stopped on the charge of aiding and abetting. However, these two employees of the Louvre, after some investigation, were declared to be not involved in the events at hand. Therefore, the investigations moved on to the maintenance workers. In addition to interrogations, the police also carried out investigations at their homes. Even the house of Peruggia, who had taken back the painting in the meantime, was ransacked by the gendarmes. However, they did not find the Mona Lisa’s hiding place: a small space created under the flooring, below of the only table in the house. Meanwhile at the Louvre, in order to avoid leaving the Salon Carré empty, a work by Raphael was exhibited: the Portrait of Baldassare Castiglione. In 1913, two years after the theft, Vincenzo Peruggia learned that Alfredo Geri, a Florentine collector, had organized an exhibition of works by private collectors. 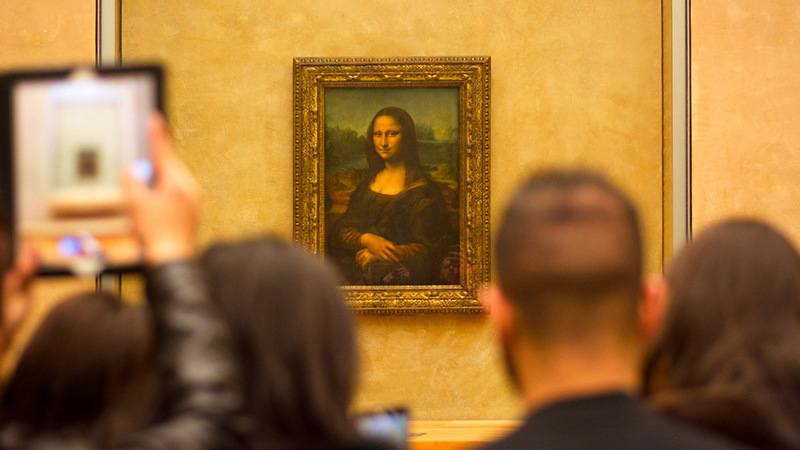 Using a false name and surname, he wrote to Geri proposing the sale of the “Gioconda” (as the Mona Lisa is known in Italian) on the condition that the work would remain permanently in Italy. Intrigued by the proposal, Geri organized a meeting in a hotel in Florence. The director of the Uffizi, certifying the authenticity of the canvas, also took part. 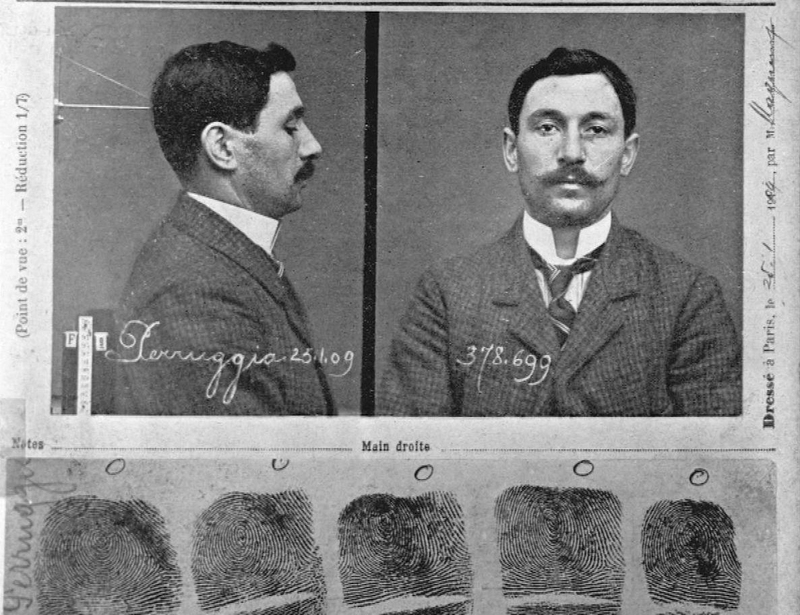 Peruggia was then arrested by the Italian police. The trial took place on June 4th and 5th , 1914, at the Court of Florence, in front of the international press and a benevolent public who believed that Peruggia was guilty only of having returned to Italy something that belonged to the country in the first place. Public pressure and the insanity plea, attested with a riddle about a hunter: “Vincenzo, if there are two birds on a tree and a hunter shoots one of them, how many are left on the tree?” “One!”, replied Peruggia. “Idiot!” thundered the court psychiatrist, Professor Paolo Amaldi, who had taken office just two weeks prior, on May 24th. “There is not one left because the other would fly away!” This testimony led the court to set a fairly mild sentence: one year and fifteen days in prison. On July 29th, the sentence was reduced to seven months and eight days. Peruggia was immediately released. When he left prison, he was met by a group of Tuscan students who gave him the sum of 4,500 Lira that they had collected in his name. 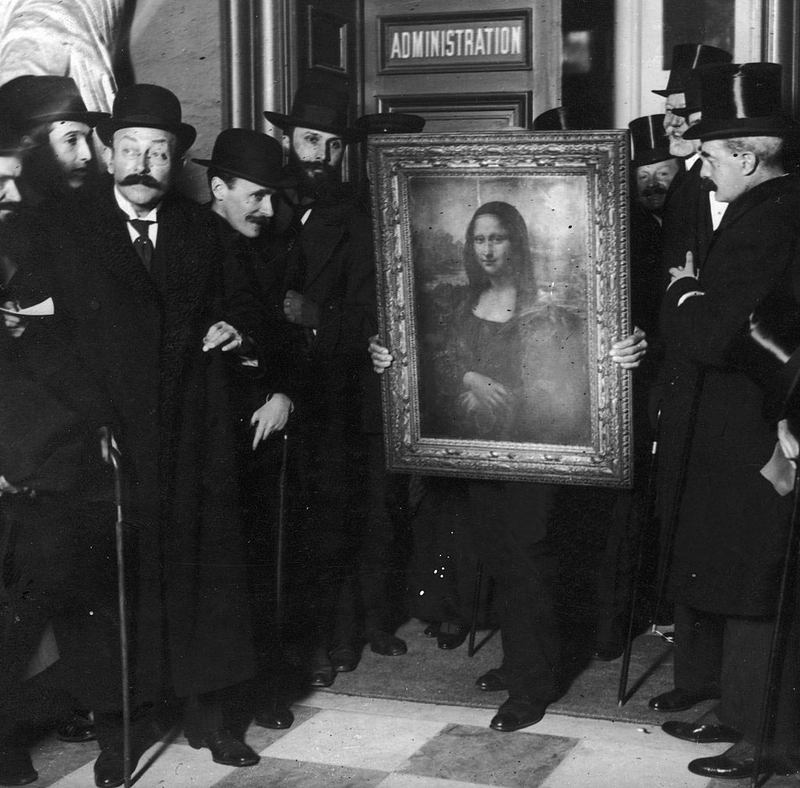 No one knows the real reason that prompted Vincenzo Peruggia to steal the Mona Lisa. There were rumours that he acted on commission from the Marquis of Valfierno, an Argentinean fraudster who had already found a buyer in the United States. However, the only truth seems to be found in the court documents. They describe how Peruggia had become enraged after consulting a Louvre pamphlet with a list of Italian paintings brought to France by Napoleon Bonaparte. Vincenzo wanted to return at least one of those paintings to Italy, no matter what. He had initially targeted the La Belle Jardinière by Raphael, but the large size of the painting had discouraged him. The choice fell on the Mona Lisa due to the small size of the painting. The story of Vincenzo Peruggia is quite extraordinary, for the daring way in which it took place, as well as for the incredible superficiality of the managers of the Louvre and the Parisian gendarmerie. Yet the story is truly singular due to a great misunderstanding. The Mona Lisa was in Paris well before Napoleon. The masterpiece had been brought to France by Leonardo himself in around 1625 in order to be included in the royal collection. Alle sette del mattino del 21 agosto del 1911 dopo avervi trascorso la notte, una figura esile sguscia fuori da una stanzetta laterale di una delle grandi sale del Louvre. Nonostante sia estate indossa una pesante giacca di panno scuro, indumento che però non gli impedisce di muoversi con agilità e senza fare alcun rumore. È lunedì, il giorno di chiusura del Louvre e le uniche presenze sono i guardiani che si aggirano tra stanze e corridoi al suono dei loro stessi passi. Vincenzo Peruggia, italiano di Dumenza, Varese, titolo di studio scuola elementare, se ne sta accovacciato all’ingresso del Salon Carré con le narici annerite dal fumo di candela e le scarpe infilate nelle tasche della giacca mentre aspetta il momento migliore per mettere in atto il suo piano. Quando i passi del guardiano si fanno più lontani, attraversa il salone fino a trovarsi di fronte alla Gioconda che solleva con entrambe le mani per liberarla dal gancio. L’opera è piccola, ma la cornice ed il vetro sono inaspettatamente pesanti. Peruggia barcolla per qualche istante prima di riprendersi ed avviarsi veloce verso l’uscita rallentando il passo più volte per evitare di scivolare perché indossa i calzini. Raggiunta la saletta dei Sept Mètres si libera della cornice e del vetro ed esce in un cortile interno del Louvre – in quel momento deserto – guadagnando indisturbato l’uscita con il dipinto nascosto sotto il cappotto. Arrivato in strada aspetta l’autobus per tornare a casa, ma sbaglia direzione. Così alla prima fermata scende e chiede un passaggio ad un’automobilista che lo lascia in rue de l’Hospital Saint-Louis, la via dove abita. Per difendere il dipinto dall’umidità e dalle eventuali perquisizioni della polizia lo affida all’ignaro compatriota Lancellotti, che abita in un appartamento migliore nello stesso stabile. La mattina del 22 agosto 1911 due artisti Louis Béroud e Frederic Languillerme entrano al Louvre per una sessione di studio sui grandi maestri, arrivati per primi nel salone Carré si accorgono del furto e avvertono subito il capo della sicurezza Monsieur Poupardin che immediatamente chiude tutte le porte per non far uscire i pochi presenti tra lavoratori e visitatori. La cornice ed il vetro della Monna Lisa vengono rinvenuti ai piedi della scaletta dei Sept Métre, vicino ad una porta a vetri scassinata e privata del pomello. Essendo un ingresso di servizio, utilizzato solo dagli impiegati, questi ultimi vengono interrogati uno ad uno per l’intera giornata, contemporaneamente le autorità lanciano un appello a tutti i parigini comunicando che a chiunque fornirà indicazioni utili per ritrovare il dipinto sarà corrisposto un premio di ben venticinquemila franchi. All’invito risponde un impiegato del museo che riferisce di aver notato, la mattina del 21 agosto, un uomo camminare con passo svelto liberarsi di un piccolo oggetto nei pressi del fossato adiacente la strada; in quel punto viene ritrovato il pomello mancante della porta. 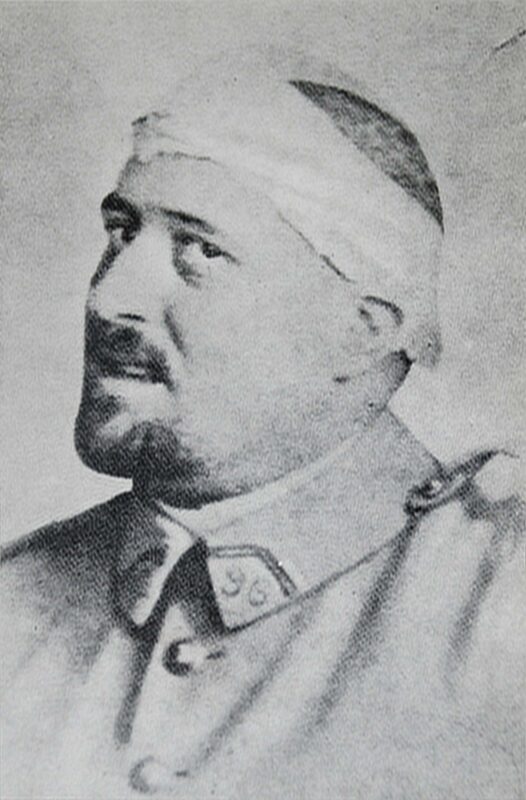 Le indagini continuano fino a quella che sembra essere la svolta definitiva, vengono infatti fermati con l’accusa di favoreggiamento Guillaume Apollinaire e Pablo Picasso, due impiegati del Louvre che però, dopo qualche approfondimento risultano totalmente estranei ai fatti e vengono rilasciati. Le indagini così si spostarono sugli operai della manutenzione, i quali, oltre all’interrogatorio subiscono anche la perquisizione domiciliare. 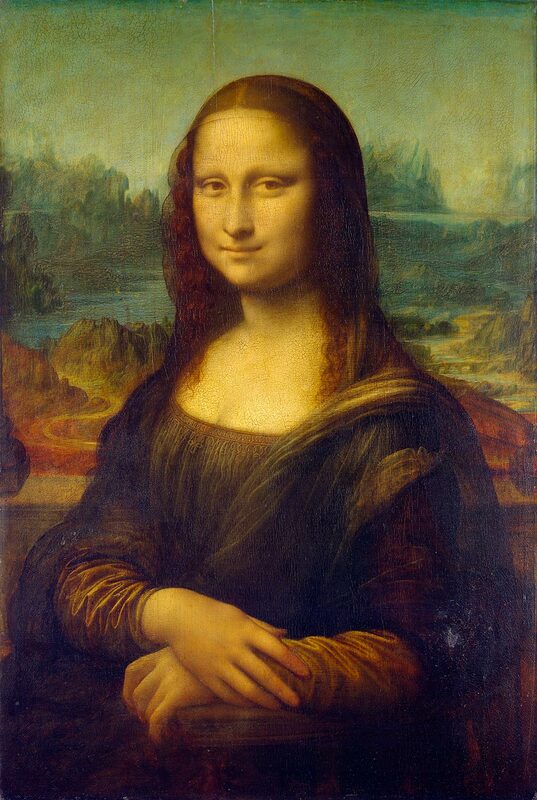 Anche la casa di Peruggia, che si è fatto restituire il dipinto dal vicino, viene messa a soqquadro dai gendarmi che però non trovano il nascondiglio della Gioconda che nel frattempo era stata sistemata in un’intercapedine ricavata sotto il pianale dell’unico tavolo presente in casa. Intanto al Louvre per non lasciare il Salon Carré disadorno viene esposta un’opera di Raffaello: il Ritratto di Baldassarre Castiglione. Nel 1913 due anni dopo il furto Vincenzo Peruggia viene a sapere che Alfredo Geri, un collezionista fiorentino sta organizzando una mostra d’opere provenienti da collezioni private, così, utilizzando nome e cognome falsi scrive al Geri proponendogli la vendita della Gioconda a condizione che l’opera rimanga definitivamente in Italia. Incuriosito dalla proposta, Geri organizza l’incontro in un albergo di Firenze al quale prende parte anche il direttore degli Uffizi che constatata l’autenticità della tela chiama i Carabinieri che arrestano l’imprudente Peruggia. Il processo si svolge il 4 e 5 giugno 1914 presso il tribunale di Firenze, di fronte alla stampa internazionale e ad un’opinione pubblica schierata con il Peruggia. La pressione popolare e l’invocazione dell’infermità mentale, provata con l’indovinello del cacciatore: “Vincenzo, se su un albero ci sono due uccelli e un cacciatore spara a uno di essi, quanti ne rimangono sull’albero?”; “Uno!”, rispose Peruggia. “Deficiente!” tuona lo psichiatra del tribunale, il Professor Paolo Amaldi “Non ne rimane neppure uno perché l’altro vola via!”, convince la corte ad applicare una pena abbastanza mite: un anno e quindici giorni di prigione. Il 29 luglio dello stesso anno la pena viene ridotta a sette mesi e Peruggia immediatamente scarcerato. Quando esce di prigione trova un gruppo di studenti toscani festanti che gli donano la somma di 4.500 lire frutto di una petizione in suo favore. Nessuno conosce la vera ragione che spinse Vincenzo Peruggia a rubare la Gioconda, si dice che agì su commissione del marchese di Valfierno, un truffatore argentino che aveva già piazzato il quadro negli Stati Uniti. L’unica verità sembra tuttavia essere quella emersa dagli atti processuali che raccontano di un Peruggia indignato dopo aver consultato un opuscolo del Louvre che conteneva una lista di quadri italiani portati in Francia da Napoleone Bonaparte. Vincenzo voleva restituirne all’Italia uno qualunque, egli infatti aveva inizialmente preso di mira la Bella Giardiniera, ma le grandi dimensioni del quadro lo avevano scoraggiato, la scelta ricadde sulla Gioconda proprio per le dimensioni ridotte del dipinto. La vicenda di Vincenzo Peruggia è molto singolare, sia per il modo rocambolesco in cui si è svolta, sia per l’incredibile superficialità dei gestori del Louvre e della gendarmeria parigina ma soprattutto perché frutto di un grande equivoco, la Gioconda non faceva parte di alcun bottino napoleonico, si trovava già a Parigi, portata da Leonardo in persona intorno al 1625, per essere inserita nella collezione reale.